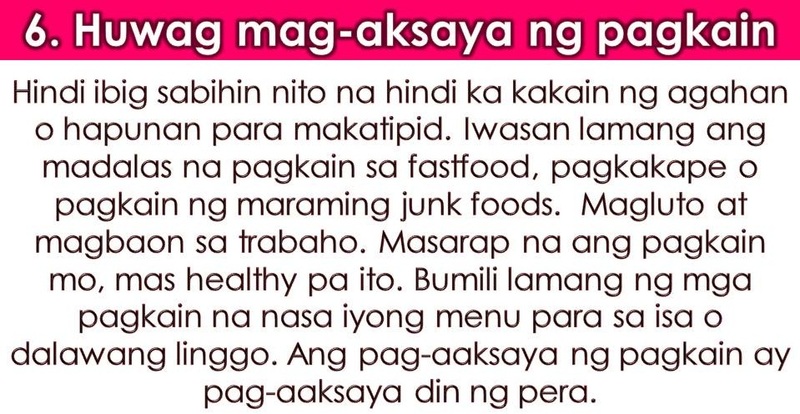 For Overseas Filipino Workers (OFWs), saving money from monthly salary is not easy especially if you are earning just enough for your family and your needs. We all know that many OFWs are living from paycheck to paycheck because the big amount of their earning will go as remittances to their families back home. But as the one working for our family, we should bear in mind that personal savings are very important, not just for retirement but also for emergency purposes. The lack of saving results in debt not just in OFWs but to all people. Always remember, all people can save money. This is not just for people with high income but also for individuals who are earning less.All we need to do is to motivate ourselves and have a goal. 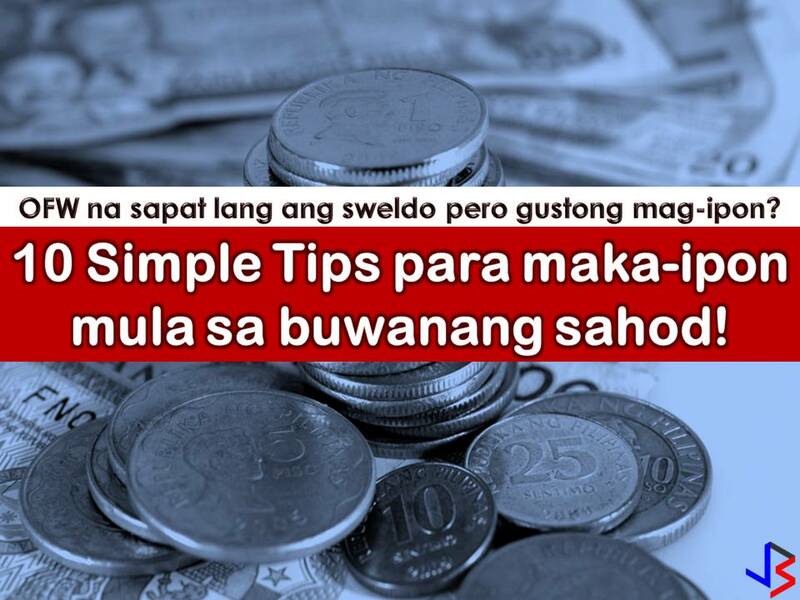 For OFWs, here are some easy tips to save money even you are earning low! 1. Save money on your housing cost. As an OFW and you paid your own accommodation while working abroad you can always share your room with your fellow OFWs so that payment can be cut in half or more. Your savings from your housing cost is a good start. 2. Knows how to budget. Budgeting is very important in saving money from your monthly salary. You can now buy cheap things at thrift stores. Always buy your basic needs and stop being an impulsive buyer. You can buy the things you want in the future if you already have enough savings for yourself. A written budget is very important to track your expenses. 3. Consider 2nd hand items. Second-hand item is cheaper compared to brand new. Or when buying things, always compare the price and look for the lowest. You can also buy stuff online. Online shopping has many benefits things are purchased at a very reasonable price. Through this, you can save money from your low budget. If you do not know the pros and cons of using a credit card, don't use it. If you do not know the interest rate and possible hidden charges credit card brings, your money will be wasted in these fees. The best way is to pay in cash to avoid trouble. Do not think you deprived yourself of the things you want because you are saving money. Always remember, saving money is not just for what is here and now. 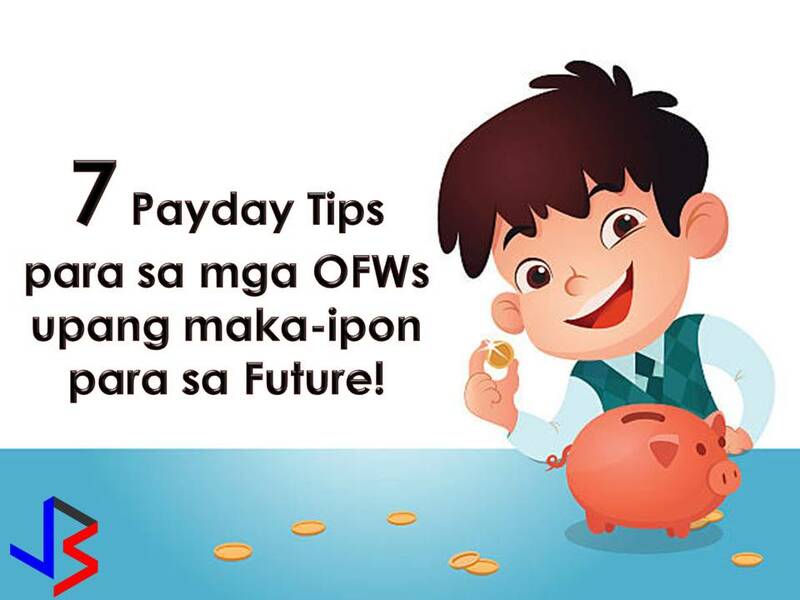 It brings benefits for your future plans especially for retiring early as OFWs. Control your spending by thinking what is important for your future and for your family. This does not mean you skip a meal to save! Avoid too much fast food or coffee. Cooking your own food will give you a lot of savings. Pack a healthy lunch and enjoy listing a menu for a week. Always remember, "wasting food is also wasting money." If saving money from one job is hard why don't you look for an extra-job? There are many skilled OFWs who can render services to their fellow countrymen such as fixing or repairing computer or cell phone. You can also earn extra money online. We used to have piggy banks when we are young. This is still applicable for adults. You can use empty bottles or jars for your pennies. You won't notice until its full one day. 9. Do not follow the crowd. "Keep up with the Joneses" is not easy especially if you only have enough money. Do not get jealous or envious of what other people have. Stop wasting money on parties and clubs. Live simply and save money! Your priorities will be your motivation to save. Ask yourself what's the reason why you are saving money? Is it for your future? Or you want to invest in something more beneficial and profitable for your retirement? This will be your priorities on your saving plan.